Brine Beef for 10 days in fridge. Make sure beef is submerged in liquid. You can place a plate on top of beef to keep it under liquid. Flip beef daily. At the end of 10 days, drain beef and rinse well. Re-add all seasonings above except Pickling Salt. The beet is used for color so it is optional. More water can be used. 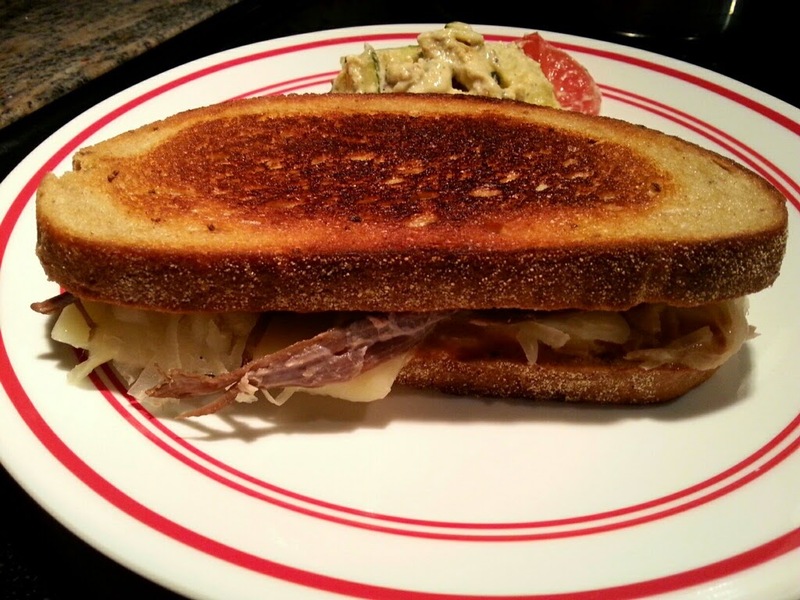 Serve as is or make homemade Reuben Sandwiches. I love beef so much. The recipe seems very easy so I am definitely going to give this a try. I love how spicy it is. Thanks for adding pictures along with the recipe as well.